Glee Spoiler: Blaine Cheats on Kurt? Uhoh Klaine fans. This doesn’t look too good. 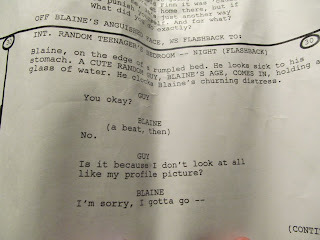 In this image of an upcoming Glee script, an “anguished” Blaine is revealed to be seriously regretting an incident with another guy. The fact he’s sitting on a rumpled bed after what I assume is a Facebook/Myspace/Grindr hook up, you can assume the rest for yourself. 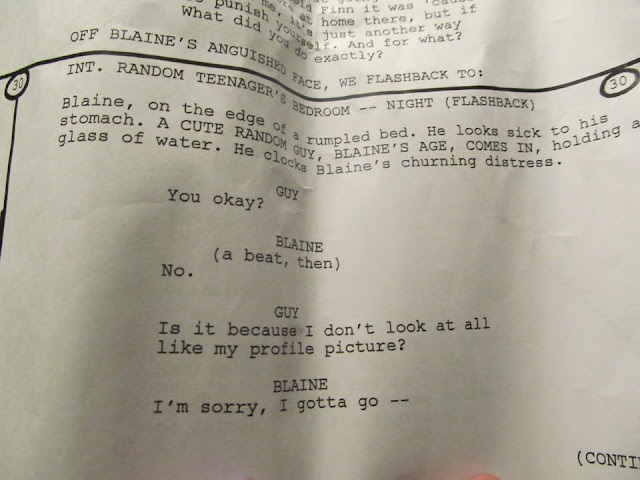 Check out a larger version of the script after the cut. Is this the end of Klaine?